There are no comments for Vampire Cowboy. Click here to post the first comment. 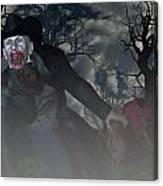 Vampire Cowboy is a vampire from the past; an outlaw who utilized the beast inside him to terrorize the wild wild west like no outlaw has ever done.